Patsy Stinchfield, a registered nurse and infectious disease expert at Children’s Hospitals and Clinics, has seen H1N1’s horrifying toll up close.A three-sport teen athlete in intensive care for two weeks. Kids who stayed in the hospital for two months. Incisions in small chests for tubes draining lung fluid. Ventilators for little ones who couldn’t breathe…. The good news is that the vaccine is becoming much more widely available; there will soon be enough to cover even those not at high risk for complications. Get the shot for yourself and your family. 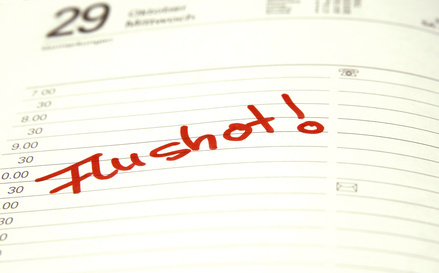 The midst of a flu pandemic is no time for carelessness and complacency. Five more Minnesotans died of complications from H1N1 flu, reported MPR, and five additional deaths are suspected to be connected to H1N1. Nonetheless, reports AP, the second wave of H1N1 appears to be tapering off in Minnesota. A third wave is expected to begin in the first few months of 2010. That’s the official word from the Minnesota Department of Health. Nationally, experts think that the pandemic may be milder than originally forecast, reports the Washington Post. The predictions are being met with a mix of skepticism, relief and trepidation: Public health officials worry that people may become complacent about getting vaccinated, which could prove disastrous if a third wave of infections swells later this winter or the virus mutates into a more dangerous form. Severe pneumonias were very common in HCMC’s intensive care unit this fall. Just a few weeks ago half the unit’s 36 beds were filled with H1N1 pneumonia patients on ventilators, according to Con Iber, a lung specialist at Hennepin County Medical Center in Minneapolis. Most of those ICU patients were young adults and middle-aged people…. “There’s so much damage to the lining of the airways in some cases, that the injury resembles chronic conditions where there’s loss of cilia, conditions like cystic fibrosis,” said Iber. MinnPost followed later in the week with a harrowing story from Dr. Craig Bowron about the near-death experience of a previsously healthy man. As his spouse described it, he’s the kind of person who had always seemed impervious to even the common cold. But not so with H1N1. The web of tubing, IV lines, and monitor wires strung across the patient and his bed could tell the most uninformed bystander that H1N1 appeared to be winning.